All around the world, we can’t agree on much, maybe not even what artificial voice we want to boss around. Amazon’s Alexa? Google Home Assistant? The year we’re ending may not have tipped the scales with certainty in any direction. As the smart speaker market shapes up, consumer sentiment about the best artificial voice in the house is in flux. 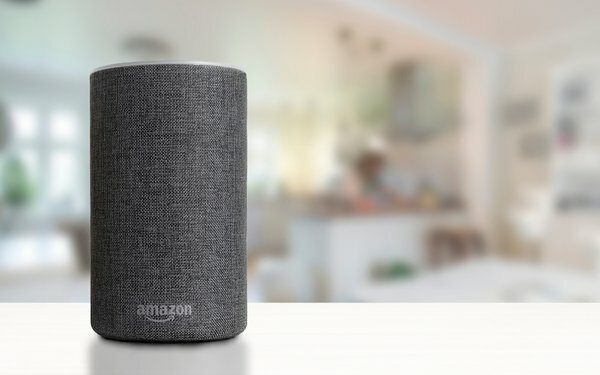 An article I wrote in August referenced Strategic Analytics data that Amazon’s global share of smart speaker shipments fell to 41% in second-quarter 2018 from 44% in the first quarter and 76% in second-quarter 2017, and Google Assistant’s share rose to 28% from 16% in second-quarter 2017. And throughout the year stories appeared showing Google’s Home Assistant gaining on Amazon in the U.S., too. In the global picture, the research firm pointed out that the pressure might be coming most from brands most Americans have never heard of that are making new waves in the massive Chinese market. And that’s a story. Google and Amazon accounted for 90% of all global smart speaker shipments in second-quarter 2017. That total was down to 63% in the second quarter of this year. Of all the stories I wrote in 2018, that shifting share story was the one that attracted the most readers. No wonder: What we think of voice assistants and artificial intelligence generally is still evolving. It turns out people may not really want to shop via Alexa, for example, and to some (like me) having your voice assistant pretend to have a line into Santa Claus just seems like derelict parenthood -- or, to use the parlance of the times, creepy. The top-ten list of my most-read stories this year doesn’t seem to have a coherent through-line, and to make one up would use every transitional-phrase trick in the book. So not every one is mentioned here. How technology continued to create huge changes in marketing and society is a rough estimation of what I write about. Ring in the new, ring out the old. But those new smart speakers are turning out to be an important aid to good old old radio. As I reported in a story in April that I thought was more important than many readers did (it wasn’t in the top ten) NPR in 2018 began telling listeners to use smart speakers to access the station and its growing number of podcasts. Indeed, smart speakers may have created the platform for success that spoken-word entertainment was dreaming of. Another story readers liked showed how twinning social media with another old medium -- billboards -- has worked for one advertiser. As I wrote in April, the Dash Two agency in Culver City, Calif. has convinced youth-oriented brands like American Apparel and rock groups to use large-image billboards as a spectacular visual they can use again on their social media sites, or to urge followers to take selfies in front of, and then post on Instagram or other sites. That’s why Gino Sesto, the founder of Dash Two, found it perfectly logical that Netflix would pay $300 million to acquire the L.A.’s Regency Outdoor Advertising -- which controls some of the Sunset Strip’s sexiest billboard sites, if there can be such a thing. Big billboards in the right places might help -- but to reach millennials, marketers are always being told, your brand has to stand for something bigger than just the product itself. As another top-ten story on my beat pointed out, maybe that is an overblown point of view. A study by Washington, D.C.’s Morning Consult discovered that while many millennials do admire companies with a social consciousness, these younger consumers grew up during a deep recession that also affected their buying decisions. Morning Consult’s report explains that although social issues count, “Millennials, like older generations, just want reliable, well-priced goods. Factors like ethical standards or transparency are important to some, but don’t rank atop the most significant contributing factors. . . .
It’s a tricky time for marketers, advertisers and brands to be sure. A story that got a lot of attention in August, titled “Boomers Don’t Understand Some Apple Ads--But So What?” reports the findings of user-experience firm UserTesting. That company posits that recent Apple ads (and Apple technology like face recognition) might turn off a big swath of the current phone-buying public, especially -- but not only -- boomers.